A solid income stream, manageable debt and good credit are some of the factors you need to consider when applying for a mortgage. But just when you think you’ve done all the work involved in shaping up your financials and getting your mortgage approval, the whole deal could blow up on you. If you make one of the following very big mistakes, the bank may decide to rescind its offer before you make it to the closing. 1. Keep working. Even if it’s your plan to retire immediately, doing so before you close on your home could be a disaster. Your bank has every right to verify your employment and financial status within 48 hours of closing on what might have been your new home. This also applies to reducing your hours or going from full- to part-time. And by all means, no matter how difficult your boss may be, don’t quit your job until all the papers are signed. 2. Be patient with purchases. You may want a shiny new car to park in your driveway, but that impulse buy may put the kibosh on your brand new home. A fancy new car may be fun to drive, but it’s a little cramped to live in. Any significant shift in your debt-to-income ratio can send your mortgage approval swirling down the drain. So avoid overspending on furniture, appliances, new construction or other pricey purchases before you close. 3. Keep (or raise) your credit score. The weeks before your closing are definitely not the time to get creative with your bill paying. Staying on top of your bills and avoiding maxing out your credit card will keep your approved mortgage on track. Your financial status should remain at least as it was at the time you submitted your application. Anything less could put your mortgage in jeopardy. A lot can happen between a pre-approval and your closing. It is important to remain vigilant about your financials when making what may be the biggest purchase of your life. Ready to buy a new home or refinance the one you own? Please get in touch and I’ll be happy to help guide you through the process. I look forward to speaking with you. 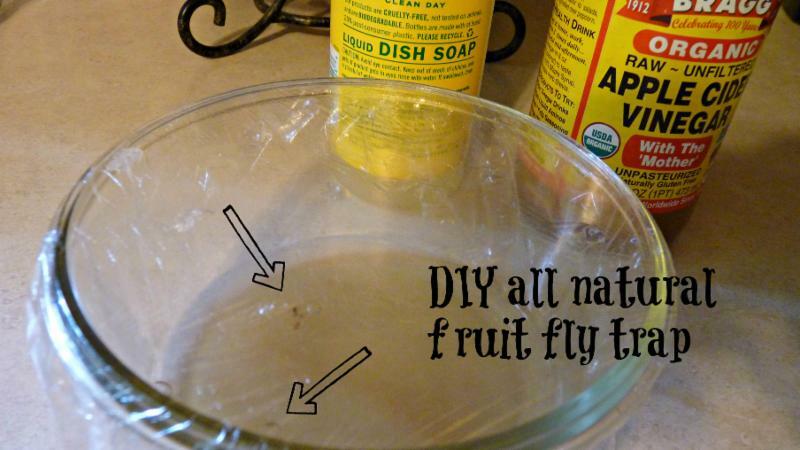 Make a do-it-yourself fruit fly trap for pennies. Fruit flies are nothing but trouble. Those tiny airborne pests love seeking out and eating fruit that is ripe or overripe. Ever wonder how they seem to show up out of the blue as they flit around a bunch of bananas or over a bowl of peaches? Contrary to the popular myth, they don’t spontaneously appear. It just seems that way. Fruit flies have a remarkable sense of smell and can detect the scent of fruit from quite a distance. They are tiny enough to squeeze through the smallest window screens and hunt down your fruit stash. Here’s how to make your very own fruit fly trap to keep them away from all that delicious summer produce. 1. A bowl or container. Pour enough apple cider vinegar to cover the bottom of the bowl. Next, pour a drop or two of dish detergent in the vinegar to break the surface tension. This keeps the flies from sitting on top of the vinegar and laughing at you. Now cover the bowl with plastic wrap and poke some holes in it so the flies can make their way in. Once they go for the vinegar they will drown themselves and you’ll be rid of your fruit fly problem. It sounds mean, but we’ll take a bowl of dead fruit flies over a swarm of live ones any day. Try it for yourself and let us know the results! P.S. You may not want to display this trap on your table. It’s effective but it’s kinda gross. Good luck!